Bucky loves this time of year, the weather’s fine (kind of) and it’s festival season which means dancing, singing and having fun with friends. Bucky Bingo likes nothing more than to chill out and enjoy the long hot summer evenings with good tunes and his favourite friends so I wasn’t too surprised to see a good promo line up considering his good mood! First up, he presents you Bucky Bingo-ers with a second chance to nab an iPad following on from the success of last month’s competition. The top prize is the all new iPad with two runners up prizes of £25 M&S vouchers and four £5 cash prizes. To be in with a chance of winning all you have to do is deposit and spend £25 anytime this month, easy! Have you booked your hols yet or is a distinct lack of funds holding you back? Bucky may just have the answer with their £1000 Holiday Voucher offer. 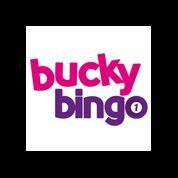 It couldn’t be easier to take part, just fund your Bucky Bingo account with £10 then spend it playing whatever you like and you’ll be entered into a draw to win £1000 in holiday vouchers! There will be a Bucky Bonus awarded on 4th August which is this Thursday so make sure you check your account. Bucky Bingo has been supporting the Breakthrough Breast Cancer charity this year and they are trying to raise £5000 for this extremely worthy cause. Show your support by becoming fan on the Bucky Bingo Facebook page which will result in Bucky donating £1 on your behalf! If like me, you struggle to remember where you’ve put your keys, people’s birthdays or more importantly your bingo account passwords you might be interested in Bucky’s latest addition to the site. If you forget your Bucky Bingo password you can now hit the link on the login page to so you can get back into your Bucky account as quickly as possible. Another great idea from Bucky, well done guys!